Hey, Jim! Get outta there! 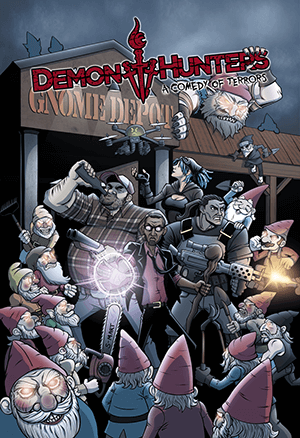 The Demon Hunters RPG: A Comedy of Terrors Kickstarter campaign is doing GREAT! We’re halfway done and only $4500 away from our goal! After that comes the stretch goals that will take the game from great to awesome to badass and beyond. So if you haven’t already, go check it out! Also, I wrote something. Then we made it. It’s coming out soon, and I think you’ll enjoy it. 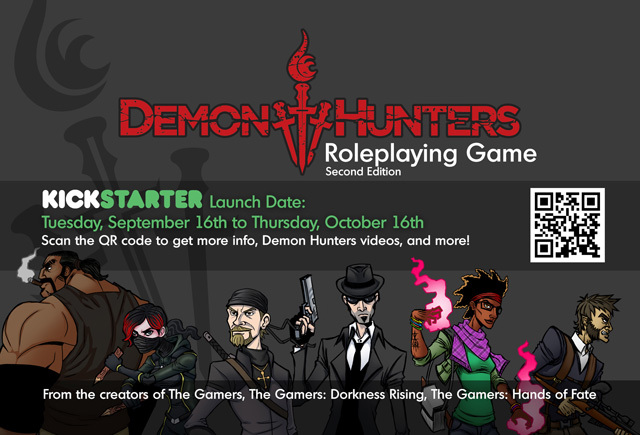 Demon Hunters: Eat in or Stakeout? 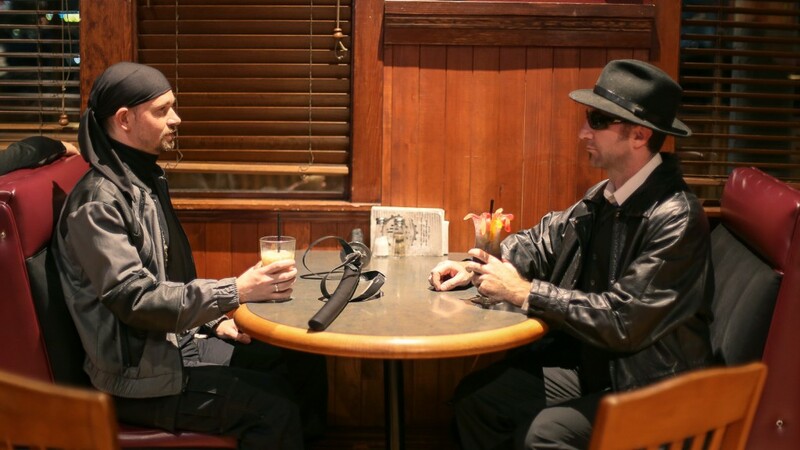 is a new short featuring the live-action return of Gabriel and Silent Jim, along with a couple of new–yet somehow familiar–faces. No word on the release yet, but it won’t be long. Stay tuned! Silent Jim where in the world are you off to? *rifles Jim’s pockets for red and blue pills* Aha! You take the red pill, you stay in Wonderland, and Jim shows you how deep the rabbit hole goes. The blue pills are M&Ms–Jim’s got a sweet tooth. Yeah, I’m still trying to find that perfect look for this comic. I think I’m getting closer to the final style, just need to get some more sequential art experience under the belt. Jim’s face between those two panels aren’t satisfying to me. Yet. Totally beat me to the 4th Wall break idea. Heh, sorry man! 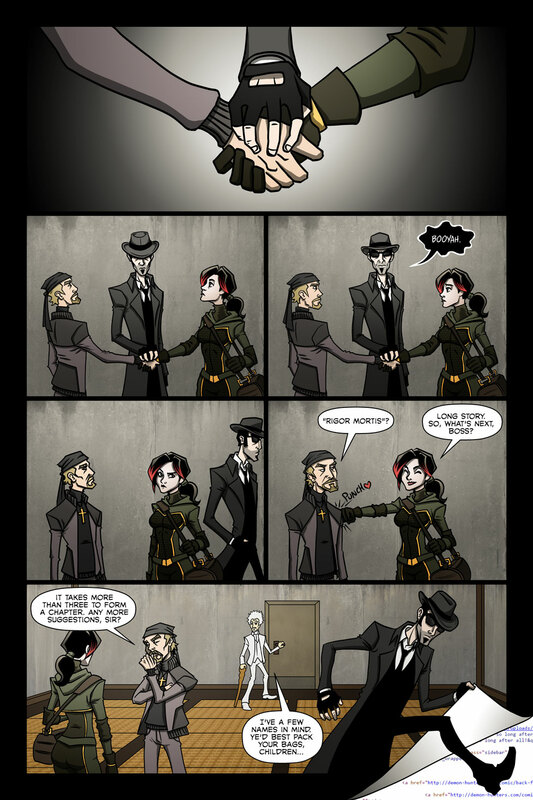 This whole comic series only exists because we wanted to tell that joke for two years now! I’m still hoping mine passes approval and makes it in.